90+3 End of the match. 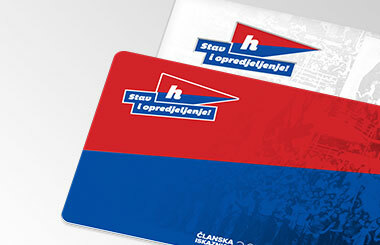 Hajduk beat Lokomotiva 1:0. Well done! 90 Nejašmić scored a goal, assistant referee raised a flag for offside position, match referee disallowed the goal. 88 Hajduk's last substitution: Kalik on, Gyurcso off. 86 Jairo could have scored for 2:0. Majstorović made a mistake in Lokomotiva's penalty area, Jairo shot on goal from a few meters distance, Grbić saved. 82 Lokomotiva making double substitution. Đurasek on, Burić off, Babić on, Jakić off. 78 GOOOOOOOOOOOAAAAL 0:1 Jairo! Gyurcso crossed on the opposite side to Jairo, who scored for Hajduk's lead from 10 meters. 75 Lokomotiva making the first substitution: Drožđek on, Uzuni off. 73 Nejašmić hit the goal post! Gyurcso took a corner kick, Nejašmić's header from 10 meters hit the left post. 66 Free kick for Lokomotiva at 18 meters from the goal. Ivanušec shot on goal, it was a great attempt but Posavec had an even better reaction. 62 Bradarić delivered a cross at five meters, Grbić deflected the ball, Jradi tried a header but it went wide. 57 Hajduk's double substitution: Tahiraj on, Palaversa off, Jradi on, Jurić off. 52 Jakić's shot from 23 meters went wide. 45+1 End of the first half. Current result, Lokomotiva - Hajduk 0:0. 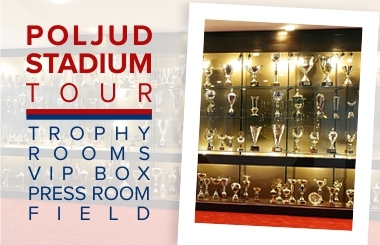 45 Hajduk had a great chance to score, Bradarić crossed to Jurić, whose shot from a promising position went wide. 38 Ivanušec shot on goal, Posavec saves. Corner kick awarded to Lokomotiva. 36 Kastrati passed to Radonjić, whose shot from 18 meters went wide. 33 Tudor crossed to Hamza, he tried a header from a tough position but it went wide. 32 Bradarić crossed to Jurić but he was arriving late, no danger for Lokomotiva. 30 Lopez's attempt from 30 meters went wide. 25 Gyurcso took a free kick, Lokomotiva cleared the danger. 24 Bradarić fouled at 23 meters, free kick awarded to Hajduk. 20 Posavec easily saved Radonjić's long-range shot. 12 Jairo delivered a cross to Gyurcso, Kolinger cleared. 2 Palaversa took the first corner kick, Jurić's attempt from 13 meters went wide. 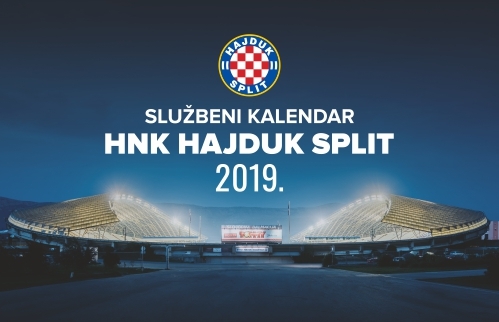 1 The match at Kranjčevićeva stadium has started, good luck Hajduk!